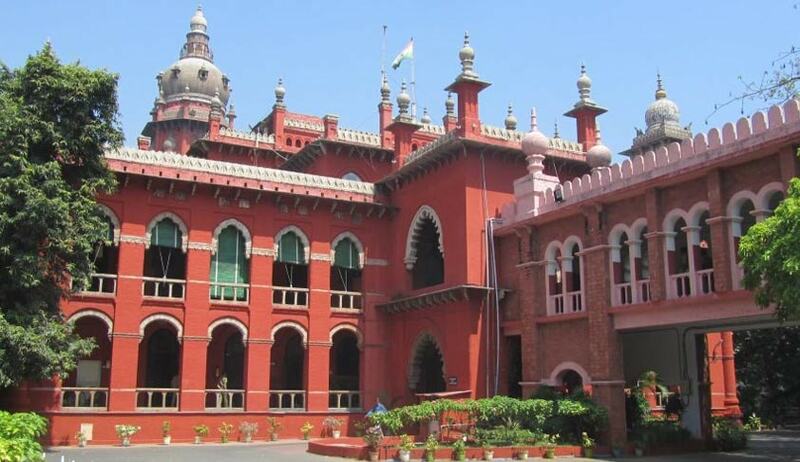 The Madras High Court has rejected the plea to permit the presence of an independent forensic expert of the appellant’s choice during the autopsy of his son Ramkumar, accused in Swathi murder case, who died in police custody. Justice N Kirubakaran, who was appointed the third judge after two judges delivered dissenting opinions, opined that such a step would lead to creation of doubt in the minds of the public about the nature of investigation conducted by the state machinery. The court has ordered the Director of All-India Institute of Medical Sciences (AIIMS), New Delhi, to depute a forensic expert, well experienced in conducting post mortem, to join a four-member medical team to conduct post-mortem. The state has been directed to make special arrangements for his travel, stay and security. He shall also be paid Rs 50,000 towards his service rendered for the state. The court, however, categorically stated that this arrangement was only to clear the cloud and in an endeavour to do complete justice, without discrediting or causing aspersions on state government doctors and to clear the alleged apprehension of the deceased’s father that the death occurred on account of police brutality. Justice Kirubakaran concurred with the verdict of Justice S. Vaidyanathan that the presence of an independent person with forensic knowledge would lead to creation of doubts in the minds of the public about the arbitrary nature of the conduct of state machinery and suggested induction of one more government doctor in the panel of doctors constituted for the purpose of conducting post mortem, instead of an independent person of the ‘choice’ of the appellant. He observed that it would also create practical problems for government surgeons nominated by the state. Ramkumar, accused for murder of Tamil Nadu software engineer S.Swathi on 24th June, 2016, died in judicial custody on 18th of this month. It was alleged by the police that he committed suicide by biting a livewire in the prison. The police version was, however, contested by his father who called for a CBI inquiry. The petitioner withdrew the demand later, and insisted that an independent forensic expert of his choice be present during the post mortem of his son owing to his lack of trust in the state machinery. The petitioner’s counsel also claimed that the detainee was tortured by the police and was kept in solitary confinement. He contended that there are chances that witnesses may be intimidated and the documents may be tampered with. The court rejected the contentions and remarked on the references made to UDHR principles by the appellant: “Affording the victim's family and legal representative the right to request that an independent qualified representative be present during the autopsy of the victim's body”. It was stated that autopsy being a very serious issue, cannot be entrusted upon a third party irrespective of their calibre and qualification as it cannot be ascertained how they would conduct themselves during the process. Therefore, the request of nomination for qualified representative of appellant's choice was rightly declined by Justice Vaidyanathan. As per the order, four government surgeons and an AIIMS surgeon as a team shall conduct post mortem on the body of the deceased Ramkumar at the latest before Tuesday.